Prior to the game's release, Creative Assembly laid out their DLC plans for Total War: WARHAMMER on the Total War Wiki. 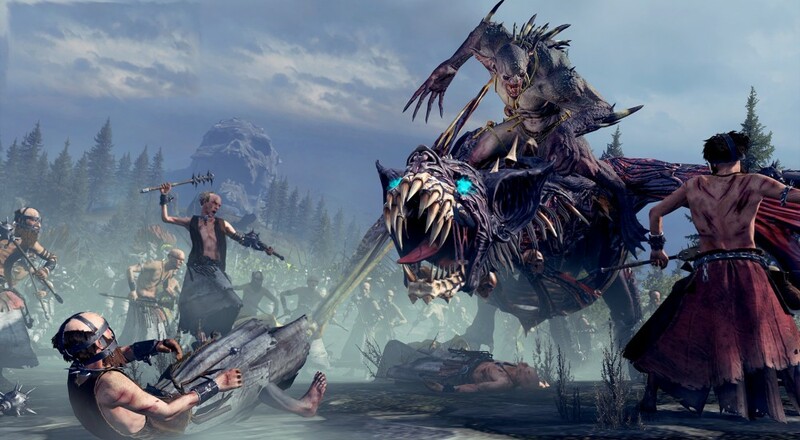 In addition to the Race Pack, which we saw with the Beastmen, and the "Free-LC," the British developer would also be releasing Lord Packs that would contain two new Legendary Lords, new units, and new "Units of Renown." The first one of these packs, "Grim and the Grave," will be released next week. This Lord Pack will add Volkmar the Grim (a wizard) to the Empire faction and Helman Ghorst (a necromancer) to the Vampire Counts. Legendary Lords are a bit more special than the normal lords you can recruit to lead your armies as they have a couple of unique spells/skills they can use in combat as well as having unique questlines they can pursue to gain powerful items. In addition to these two Legendary Lords, two new lord types - the Strigoi Ghoul King and the Arch Lector - will be added for the Counts and the Empire, respectively, along with new regular units and, for the first time, "Units of Renown." The latter are elite versions of existing in-game units with some increased stats and/or unique abilities. Full details about what the pack entails can be found on the Steam store page. The Grim and the Grave pack will cost you $7.99 when it launches on September 1, though you can pick it up at a bit of discount for $7.19 if you pre-order before then. Page created in 0.4450 seconds.